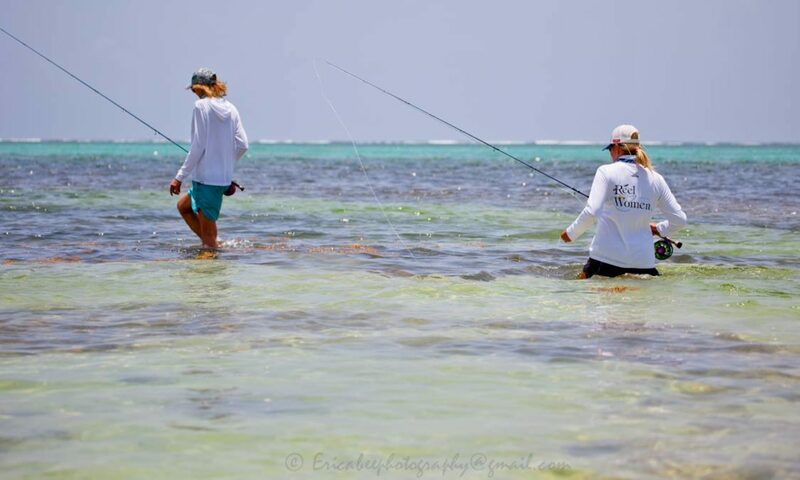 Fly Fishing Adventure Travel, Instruction & Guiding | with Lori-Ann of Reel Women Fly Fishing Adventures in Belize. In a time when women are entering the world of fly fishing by their numbers, enthusiasm and sharing – I was stopped this morning when I read a letter from Beth. 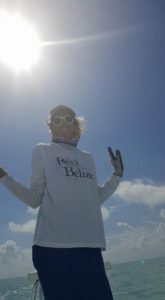 Beth just returned from one of our Reel Women Permit Quest trips and is beyond excited about fly fishing the flats of Belize. As a pharmacist – working with a great team for women’s health – she has been happy making a difference for the people of her Appalachian home. Until now. Still proud of her work and accomplishments, Beth has always taken the safe path and attained her goals. Now she wants to cast to tarpon again, and again. Now she wants to be a fly fishing guide. This isn’t new to me, this kind of thinking. 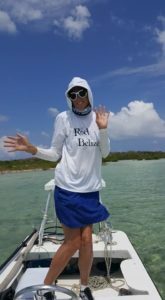 I continue to live this life I followed being a fly fishing guide – first around the waters Idaho, Wyoming and Montana, and now San Pedro, Belize. And I have heard this “heart” expression from other women I have worked with – and they have gone on to be amazing fly fishing guides and leaders in our fly fishing community. Yet this letter from Beth provoked something in me that left me reflecting upon my choices and the direction a life as a fly fishing guide has taken. Like Beth, my professional career as an RN was what I signed up for, but as I climbed to the top of the nursing ladder in the early 90’s I found myself asking what I really wanted to do. And in the meantime, I carried my 5 wt and 7 wt flyrod outfits with me everywhere. I read Joseph Campbell and he is the source for “Follow your bliss.” Footloose and fancy free in my early 30’s – I moved to Teton Valley, Idaho to work at a thirteen bed hospital and chase trout. I was lured into the fly fishing guide community by the stewards of the world famous rivers of the West . These people loved fly fishing as much as I did and lived it. My girlfriends all fished. That’s what we did. And yes, we needed to show the world that we knew what we were doing. And when it came time to try guiding, the long time established male fishing guides of Jackson Hole, Wyoming and Teton Valley, Idaho, embraced us. Next thing I knew I was a fly fishing guide rowing all the rivers I had read about, dreamed about and never ever thought I would be guiding! Unlike many other fly fishing saltwater destinations, Belizean guides are more tolerant of other guides fishing close and also share. It took one day for us to all find out where those fish were traveling. And there we were. Lined up and waiting for the tide and the fish. It wasn’t like the day before – where we had shots for a few hours, but it was still really fun. 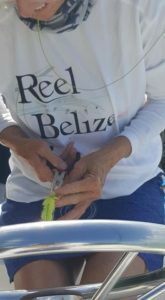 I told stories about how the guides just didn’t know what to think when I showed up as a professional fly fishing angler on their Belizean waters. And then I looked around, and the very few that accepted me from the get-go, were right there with me out on the flat. It was a moment that you can only feel from your heart. It was hot out there standing on the poling platform but my whole body was at peace. These are the moments that make me feel like my life work is the best thing in the whole world. It’s been over twenty five years that I’ve been guiding – the rivers of the West and now primarily on the flats of Belize. Through these acts of searching and discovery, eventually small steps are accomplished. It won’t be so weird for other women to be seen poling a panga or running their skiff hot over skinny water to find their fish. It’s OK for a woman or a man to search their heart for what keeps it alive and well and make choices that reflect a personal passion for life. I will respond to Beth’s soul searching. It just took me a bit to make sure.